Kyle Medley is a litigator who focuses his practice primarily in commercial litigation, reinsurance, and insurance litigation, before state courts, federal courts, and arbitration panels. Mr. Medley has experience handling matters to full resolution on the merits, including trial experience in a number of New York State courts and extensive arbitration hearing experience before ARIAS-certified neutral panels. Mr. Medley has appeared in a variety of federal court cases in New York, New Jersey, Georgia, Florida, Illinois, Missouri, and Oklahoma, and has appeared in numerous state court cases in New York, New Jersey, and Connecticut. He has extensive litigation experience in reinsurance and insurance, as well as handling bankruptcy, probate, employment discrimination, and a variety of other commercial litigation matters. Mr. Medley has vast experience working with expert witnesses in an array of fields. Some of the experts he has worked with include: insurance executives, actuaries, accountants, bankers, cardiologists, construction experts, and engineers. 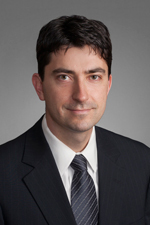 Mr. Medley joined Hinshaw & Culbertson LLP in October 2014 as a result of the merger of Hinshaw and Barger & Wolen LLP. Prior to joining Barger & Wolen in 2007, Mr. Medley worked for several years at the New York law firm of Ford Marrin Esposito Witmeyer & Gleser, L.L.P. In addition to his other law school accomplishments, Mr. Medley was the Managing Editor of the Brooklyn Law Review. Mr. Medley was a student law clerk for Judge Richard M. Berman in the U.S. District Court for the Southern District of New York. Mr. Medley also interned for the Civil Division of the U.S. Attorney's Office for the Eastern District of New York, where he defended the government on a variety of matters including civil forfeiture and Social Security cases. During his undergraduate studies at the University of Michigan, Mr. Medley received, among other awards, the Henry P. Tappan Award for Outstanding Student in a Double Major. As co-lead counsel for an insurer in complex, 15-day ICDR/AAA arbitration hearing, achieved complete victory against multi-million dollar claim by policyholder, which included total defeat of bad faith allegations. Trial co-counsel for an insurer in landmark New York state court class-action litigation pertaining to purported “non-products” coverage for asbestos-related exposure, wherein damages were alleged to be in excess of $1 billion. In U.S. District Court, obtained victories on multiple motions, including motion to strike expert testimony and various discovery applications, including disputes over ESI. In AAA/ICDR arbitration, defeated motion to dismiss concerning validity of arbitration agreement and obtained victory on motion to dismiss claims for malicious prosecution. Prosecuted multiple fraudulent transfer actions on behalf of insurers in U.S. District Courts. Obtained a victory in an arbitration hearing on dispute over New York Worker’s Compensation Laws, which involved competing medical expert testimony on causation of myocardial infarction. Successfully defeated petition filed in U.S. District Court to vacate an arbitration panel’s award for pre-hearing security in the full amount sought by insurer. Achieved victories in multiple New York State Court petitions to compel arbitration. Successfully negotiated settlements of multiple arbitrations against policyholders for full amounts sought by insurer. Counsel for primary and excess carriers in multiple insurance coverage actions for mass tort claims in various federal and state courts involving claims of asbestos bodily injury, and property damage and bodily injury due to petroleum spills. Representation of primary insurer in an insurance coverage dispute over lead paint bodily injury claims and coverage for same under a CGL policy, obtained victory on summary judgment in New York state court action. Prosecuted motion to appoint Chapter 11 Trustee in bankruptcy action on behalf of largest creditor of the bankruptcy estate. Obtained judgment in excess of $400,000 for plaintiff in sexual harassment action prosecuted in New York state court. "A Primer On Reinsurance Law & Principles," co-author, Hinshaw & Culbertson LLP On The Law Series, First Edition, September 2016. "ADR Under the Microscope," AIRROC Matters, Volume 9, No. 4, Winter 2013. "Tempest in a Teapot: New York’s Bi-Economy Decision Five Years Later," co-author, AIRROC Matters, Volume 9, No. 2, Summer 2013. "The Widening of the Atlantic: Extradition Practices Between the United States and Europe," 68 Brook. L. Rev. 1213 (2003).